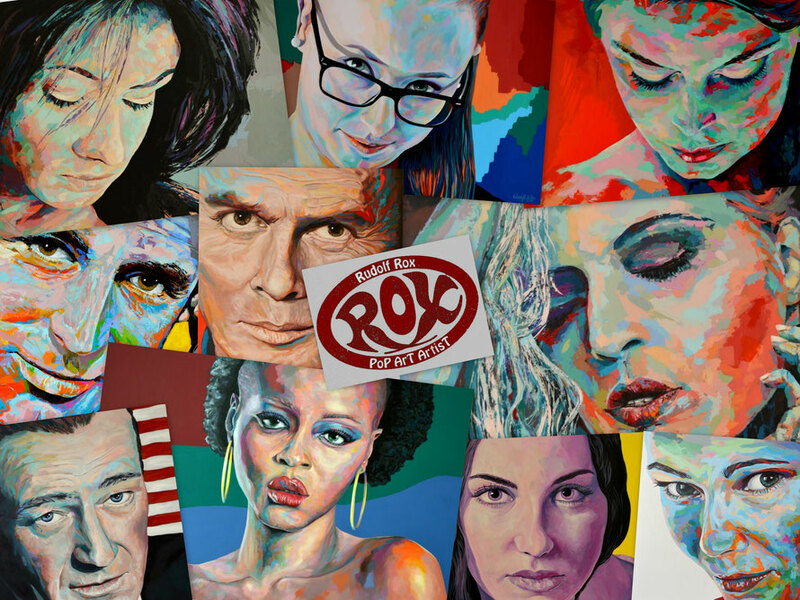 Expressive portraits in subtle to strong, pop-like colours are the content of this website In contrast with classic portrait painting, I try to give each portrait a soul and surround it with an aura with contrasting colour effects. As well as the detailed reproduction, the colour composition takes up the most time. The greatest challenge is to refrain from reeling off tired patterns, picture after picture, but instead to coordinate each picture in terms of colour with the portrayed person/subject. Colour combinations and mixtures are simply endless, and thus it feels like each picture takes ages. I use the brush and the palette knife equally as tools, but many of my pictures have also been completed solely with the palette knife. My painting background is canvas, and my material is acrylic paint. These days, acrylic paints are of such a high quality that they are just as good as oils in terms of brilliance of colour. I have been fascinated by portrait painting since my youth, and it is always a challenge, since even the smallest nuances can decide on the success or failure, where the recognisability of the person portrayed is concerned. I place special emphasis here on the eyes, since the more realistic these are painted, the more vibrant the portrait, even if it is otherwise colourful. The symbolism of the colours also plays a role if you want to achieve a certain effect, and it therefore contributes decisively to the overall impact of a picture. In all, I try to create as vivid an atmosphere as possible by means of well-coordinated colours and shades. A selection of my acrylic paintings and some videos can be seen on the following pages.